List Rules Vote up the NBA's best dunkers ever. NBA Slam Dunk Contest Results and in-game dunks are both considered. The NBA Slam Dunk Contest has given fans amazing battles between the best dunkers in professional basketball and breathtaking performances by some all-time greats. Based on their performances during NBA All-Star weekend, and more importantly, throwing down ferocious dunks in the midst of an NBA game, the following players and athletes have established themselves as the best ever when it comes to slam dunks. From modern greats like Lebron James and Blake Griffin who have some seriously great dunking games, to past all star NBA dunkers like Michael Jordan, Clyde Drexler, and Julius Erving, these dudes can all dunk like few others. Who are the best dunkers in NBA history? Click through the list, and vote up all of the pro basketball players who you think are the best slam dunkers. "Half Man-Half Amazing," is certainly in the discussion as the greatest dunker of all-time. Not only did he produce what is likely the greatest performance in NBA Slam Dunk Contest history during the 2000 NBA All-Star festivities, but he might have the greatest in-game dunk in the history of basketball. The dunk came during a game against France in the 2000 Olympics when "Vinsanity," picked up a loose ball, took two dribbles, loaded up, and exploded up and over 7-foot-2 Frenchman Frédéric Weis. 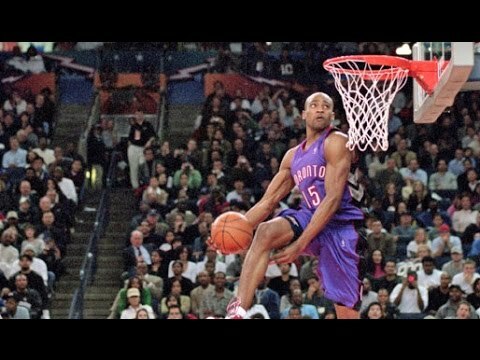 "The Human Highlight Film" was a nine-time NBA All-Star and a two-time winner of the NBA Slam Dunk Contest. Wilkins was one of the first players to utilize his extensive repertoire of breath taking dunks during NBA games. "Air Jordan" did everything on the court throughout his historic career. Jordan won two NBA Slam Dunk Contest titles, including an epic duel with Dominique Wilkins in 1988. His spin move to the baseline against the New York Knicks in the 1991 Playoffs did severe damage to Patrick Ewing's psyche. "Dr. J," is one of the game's most iconic dunkers. He never won an NBA Slam Dunk Contest because the event didn't exist during his early days as a professional. He did win the 1976 ABA Slam Dunk Contest but is most remembered for his in-game heroics. His long frame allowed him to be one of the most graceful dunkers in the history of the game. 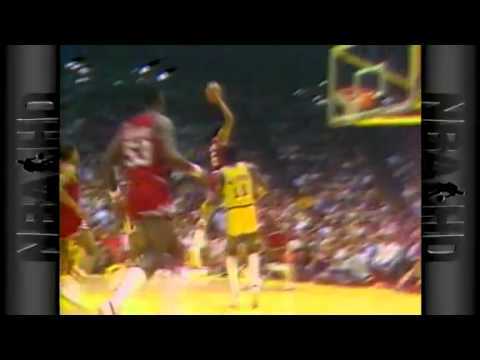 His dunk over Portland's Bill Walton in the 1977 NBA Finals is among the most memorable plays in league history.